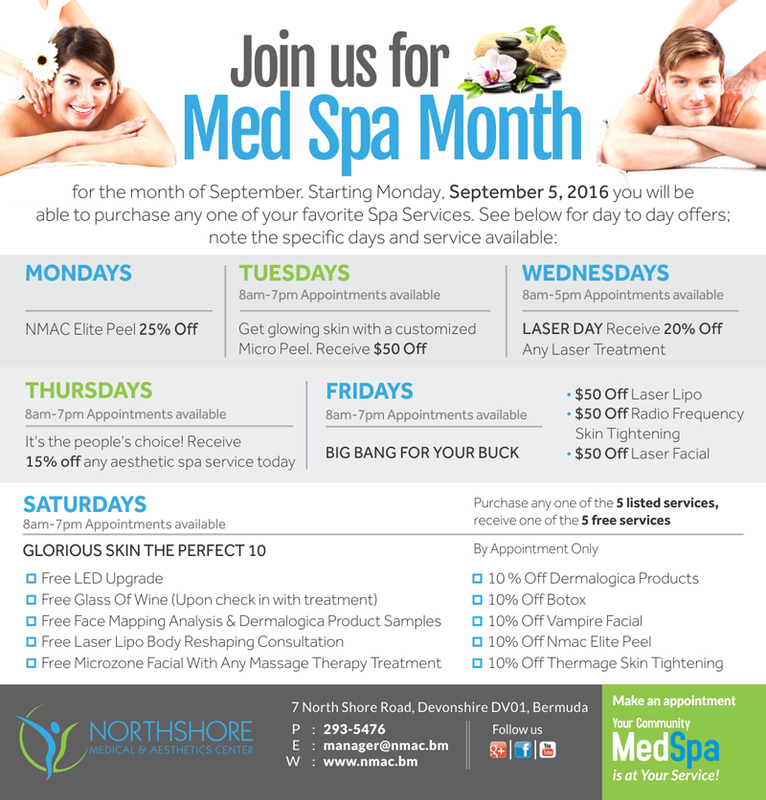 Northshore Medical and Aesthetics Center [NMAC] will be celebrating “MedSpa Month” throughout September, with special discounts and offers being showcased every day of the month. “With summer just behind us, fall is an ideal time to prepare our skin and body for the cooler months ahead, as well as get a jump start on that wanted body”, said Dr. Kyjuan Brown. A spokesperson said, “MedSpa Month will be celebrated from September 5th – 31st a number of popular skin and body prep treatments. “Laser Lipo [Thighs/ Abdomen], Microdermabrasions, Dermalogica Signature Facials, IPL Spot Treatments and Laser Acne Facials will all be reduced to in price per treatment for any appointment during this period. “Throughout the month there will be other events and discounts being released so stay tuned to the Northshore Medical website.